Won’t He do much more? One of the major purchases we have had to research this month as we prepare to move into our new home is a riding lawn mower. Since we’ve moved to Missouri, we’ve been blessed to have friends who allow us to use their riding lawn mower to maintain the lawn and property for the house we are renting. Now that we are buying our own place, and because we’ve borrowed a trailer and lawn mower once a week since April, we decided that now was the time to take the plunge. I think I spent close to 10 hours pouring over retail websites, Craig’s List, classified ads and more trying to find the best deal on a mower. In trying to be as thorough as possible, I ended up stressed out and no better off. Last weekend, one of the big box stores was holding a good sale on a riding lawn mower brand, and after evaluating the options, Matt and I decided that we were going to do it. We geared ourselves up and prepared to go to West Plains the next day. The problem was, in all that research and planning, our choice wasn’t God’s choice. That night, I began to feel very distressed about the lawn mower situation. I couldn’t shake the uncomfortable thought that our plan the next day was not the right one. When I talked to Matt about how I just did not feel at peace about buying that lawn mower, he immediately agreed and said he had felt the exact way! Though we were both confused about what we would do, because the grass seemed to be growing longer by the minute at both houses, we again went to God in prayer. God has provided, in an amazing fashion, for every other detail of this house (and for that matter, moving us here in the first place). We placed our need in God’s hands, believing that somehow He would work it out, because we were just hitting dead ends. Two days later, one of our good friends texted Matt with a lead on a lawn mower being sold here in town. That night, Matt went to check it out, and the very next day we were the owners of a riding lawn mower. God cares about every detail of our lives, even the length of our grass. This is why I tell you: Don’t worry about your life, what you will eat or what you will drink; or about your body, what you will wear. Isn’t life more than food and the body more than clothing? Look at the birds of the sky: they don’t sow or reap or gather into barns, yet your heavenly Father feeds them. Aren’t you worth more than they? Can any of you add a single cubit to his height by worrying? And why do you worry about clothes? Learn how the wildflowers of the field grow: they don’t labor or spin thread. Yet I tell you that not even Solomon in all his splendor was adorned like one of these! If that’s how God clothes the grass of the field, which is here today and thrown into the furnace tomorrow, won’t He do much more for you—you of little faith? God provided for us in spectacular fashion, giving us just what we needed for a fraction of what we were planning to spend. 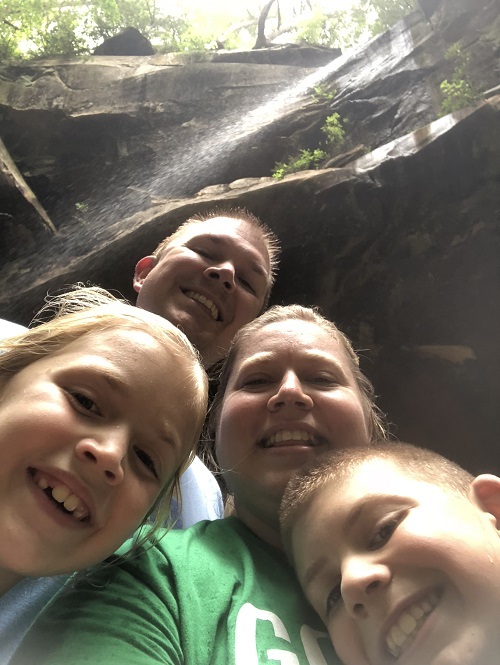 After all the incredible ways that God has blessed our family since we have moved, it was as if He was just throwing in a bonus to encourage us to remember that He is on the throne and in control. We just have to trust Him and follow His lead. We are committed to do that, from behind the wheel of our lawn mower. This is the lawn mower that God provided! 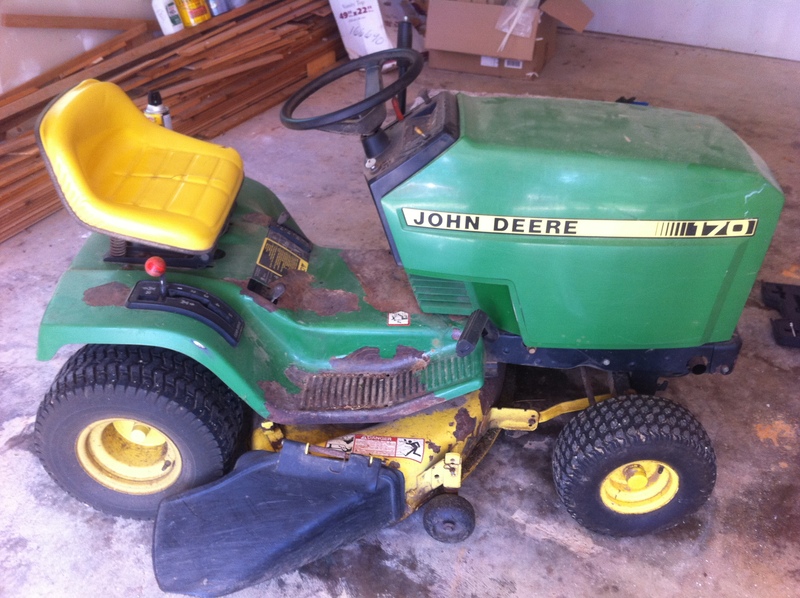 It's older and the paint has peeled, but it runs well and cuts the grass. We are very thankful!